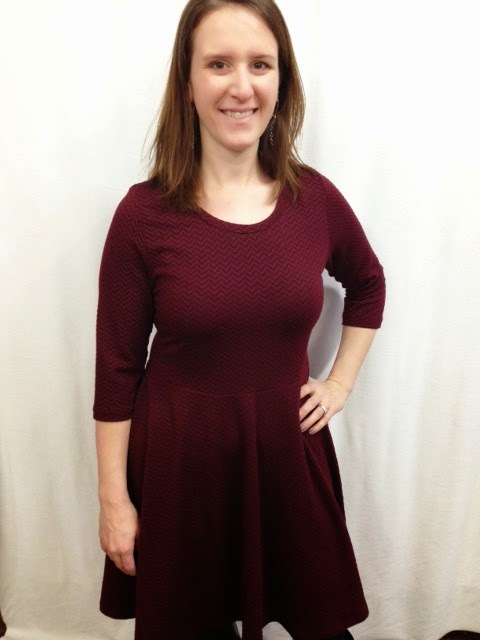 Fabric Mart Fabricistas: Pretty Peplum Top Sew Along: My Finished Tops + Submit Your Finished Garment!! I LOVE the prints you chose for your tops!! These are great. And I know that you mention being frustrated with the non-darted fronts, but you can wear them as you wear them well! But yep, that last one looks the best. What a great fit. I did the same thing with the softly pleated dress, I probably should have cut the extra-small but I got nervous, so I cut the small. I still ended up loving the fit, but maybe I will try the extra-small when I make it from a more stretchy knit. I can't wait to see other versions from the people who sewed along! This has been so much fun!f I had to take an iinch off of mine on the sides so it wouldn't be a tent. I want to make another in a different color fabric. Just wondering if I should make the smaller size or just adjust the seam allowance to the changes I made. Glad you've enjoyed it! When you cut out the top did you cut based off of your high bust measurements? If so, then you should be fine in just taking it in at the side seams. You can also mark your pattern with how much you took off the sides then you don't have to keep trying to remember how much you took off. I hope this helps! Thanks. Yes, I used my high bust. I kept track so I'll know what to do next time. I bought the twin set pattern too is it going to be a similar cut? Although I have not made the versatile twin set before, I would say that it is a similar cut because she tries to be consistent in her pattern line.